"My friends and I came up with this one hot day after finals during college. The surprise is in the fact there is alcohol in this drink. You can't tell just by tasting it!" 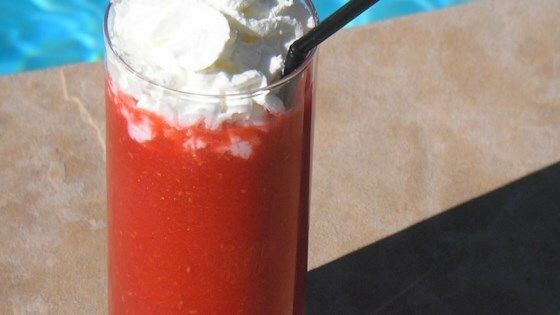 Place raspberries, strawberries, vodka, and lemonade into a blender. Cover, and puree until smooth. Pour into chilled glasses to serve. Oh my...this is excellent. I halved the vodka because I am a light weight, but otherwise made as directed. This is so ONO and simple. Excellent! Can be made with watermelon as well, just sub frozen melon balls for the berries. Thank you! my husband & i both couldn't drink this. Not bad it's OK as is. I added 1oz to the mix and garnished with a slice of Lime. I looked that much better.